While various technologies have survived, society shuns the use of guns, so warriors have become skilled in close quarters weaponry. 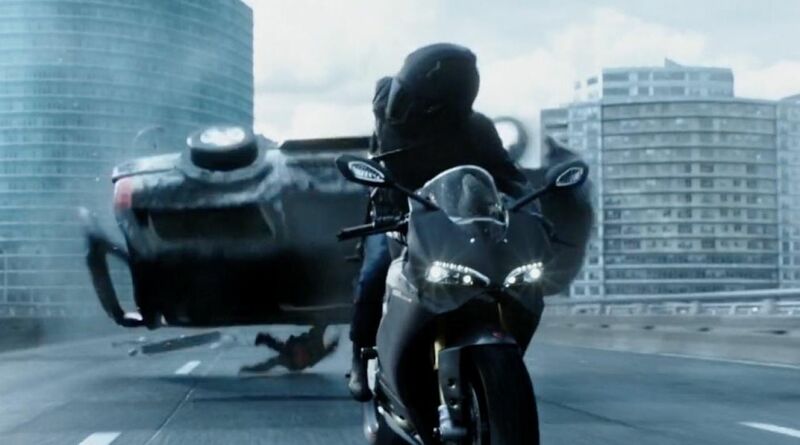 The show premiered as a six-part series in 2015, was renewed for a 10-episode second season in 2017 and a 16-episode third season, which premiered in 2018. 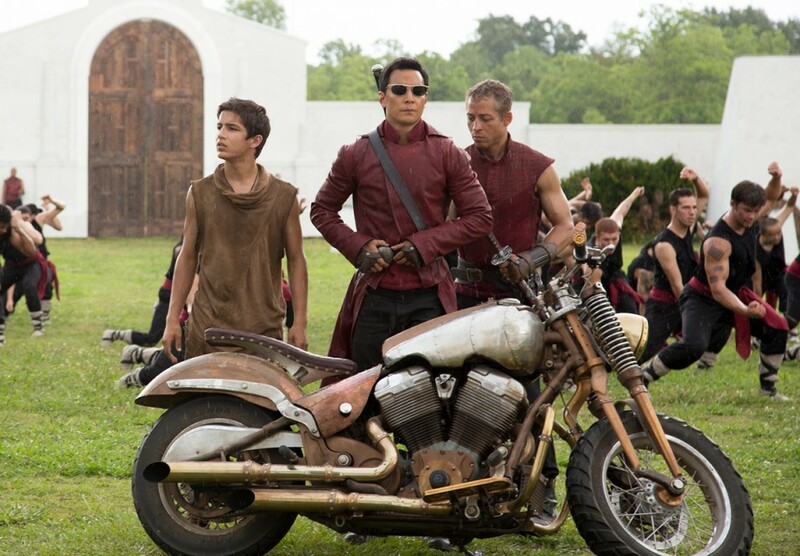 Sunny makes his way across the post-apocalyptic landscape in style, riding a knobby-tired bobber with a heavily steampunk appearance. 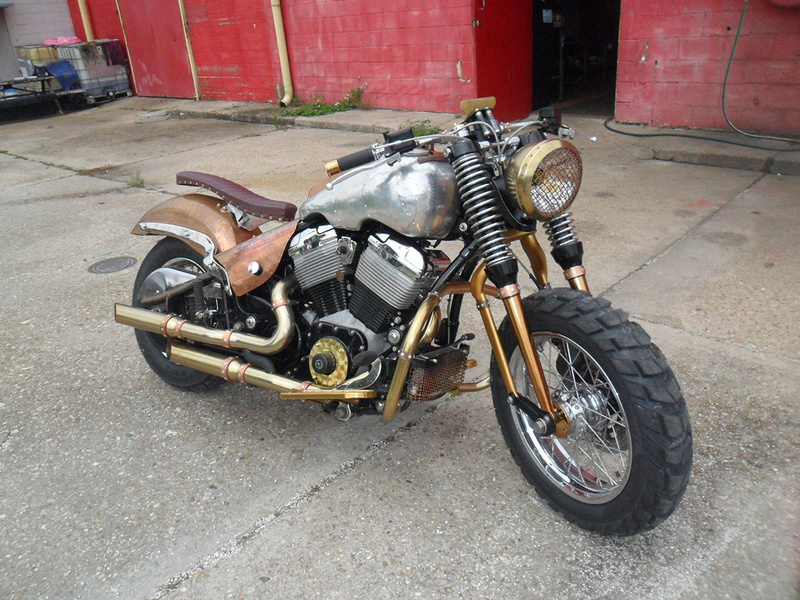 In reality, the Sunny’s bike is a custom Excelsior-Henderson Super X Deadwood Special originally manufactured in 1999-2000 and customized by Wicked Bros of New Orleans, Louisiana. Excelsior was one of the early, great American motorcycle companies, producing the first motorcycle officially timed at 100 mph. The company enjoyed third position behind Harley-Davidson and Indian until the Great Depression. In 1931, the company ceased operations. 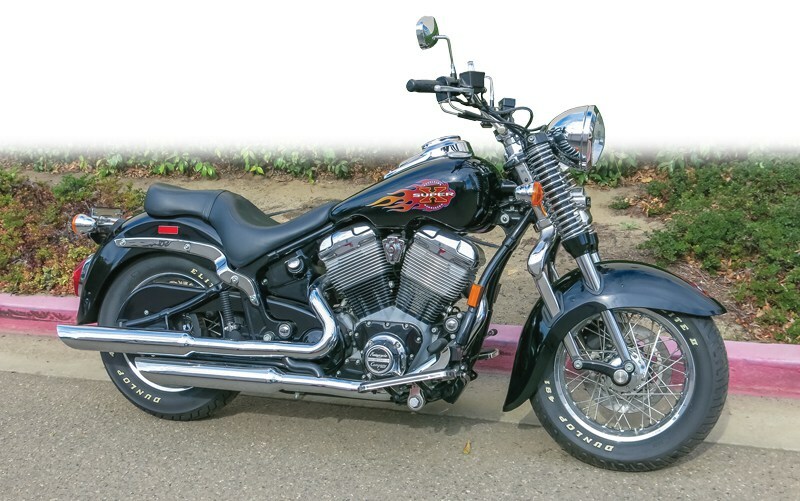 In the 1990s, Excelsior-Henderson was resurrected in Belle Plaine, Minnesota, to give Harley-Davidson a run for their money. 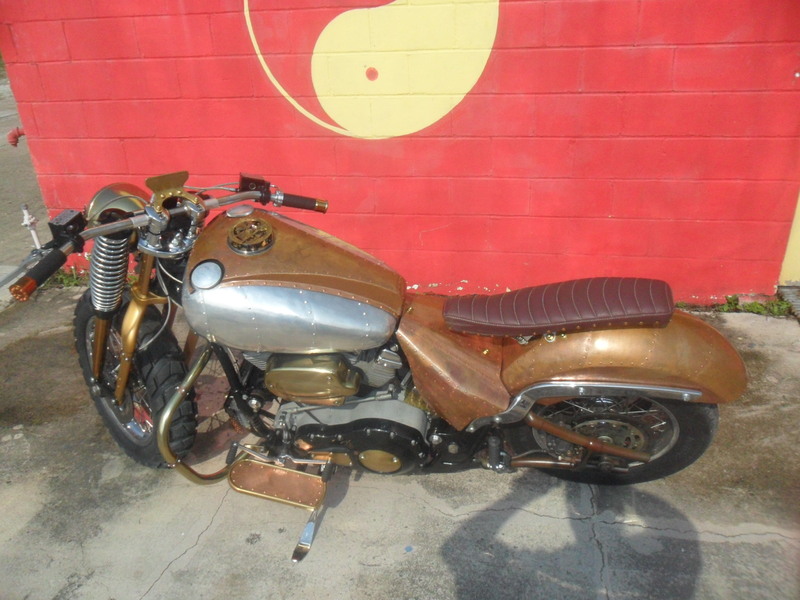 At the time, the waiting list for a Harley was two years. E-H hoped to take advantage of that demand. They built a 160,000 square-foot factory capable of turning out 10,000 bikes a year. In 1999, production of the Excelsior-Henderson Super X began. The Super X was a brand new proprietary American motorcycle, with design and styling elements that harked back to the original 1905-1931 Excelsiors. The engine was a 1400cc air-cooled V-twin based on a British Weslake Engineering design, which sent 63 horsepower and 70 lb-ft of torque to the rear wheel via a 5-speed transmission and toothed belt. This engine was bolted into a twin-tube cradle frame, with a single rear shock, while the front end recalled the well-sprung leading-link front fork of the 1927 Super-X — though with gas damping cartridges. 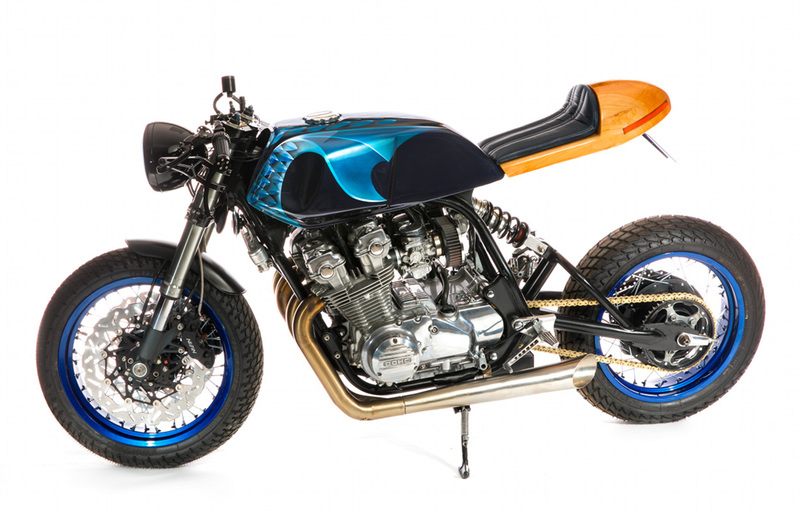 Wheels were 16-inch at both ends, and the bike weighed 760 pounds with a 26.5-inch seat height. Unfortunately, the Excelsior-Henderson rebirth was ill-fated. The company filed for bankruptcy in early 2000. Altogether, the giant factory turned out fewer than 2000 bikes, with only 77 Deadwood Specials, which had a little extra chrome and glitz. 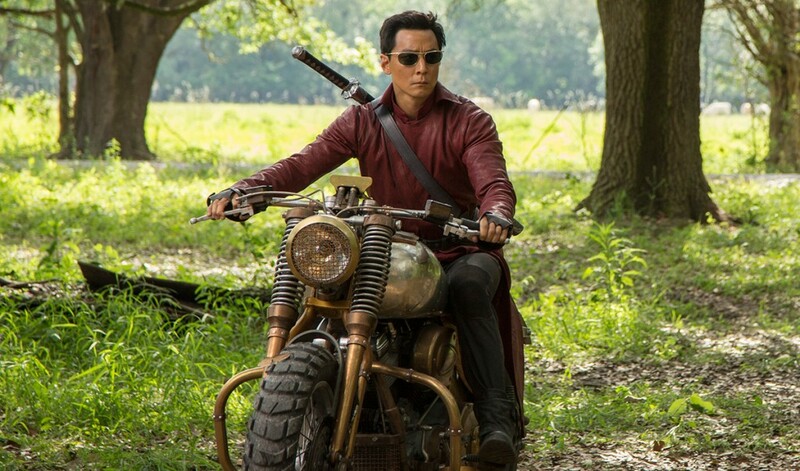 Sunny’s Into the Badlands Excelsior has been called a “Steam Punk X” — obviously, the bike has been customized to fit the steampunk aesthetic of the show, with an array of bronze, copper, and leather accents and a custom banana seat. According to the enthusiasts at EHForum.com, stock parts include the primary case, air cleaner, shifter, floorboards, brake pedal, master cylinder reservoir, headlight ring, and controls…with the switches removed. 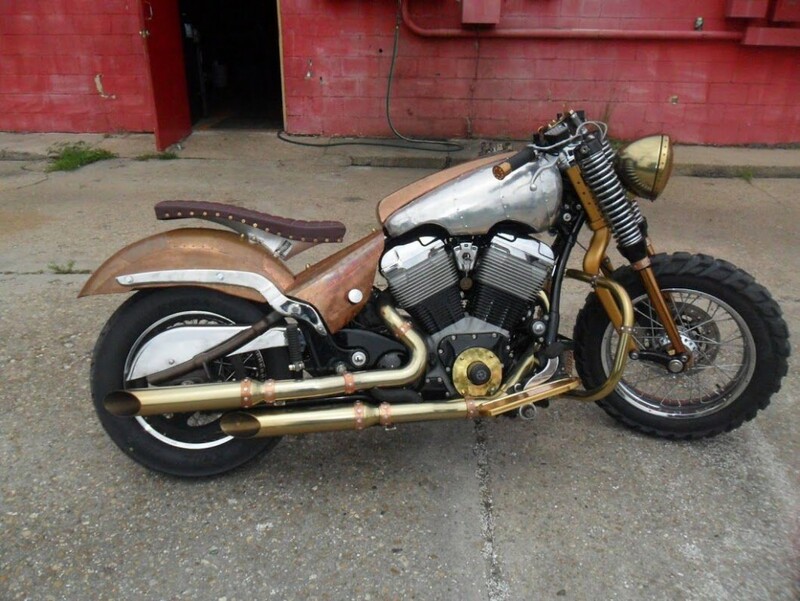 These customizations were carried out by Wicked Bros of New Orleans, Louisiana — who specialize in custom exhausts and one-off parts. 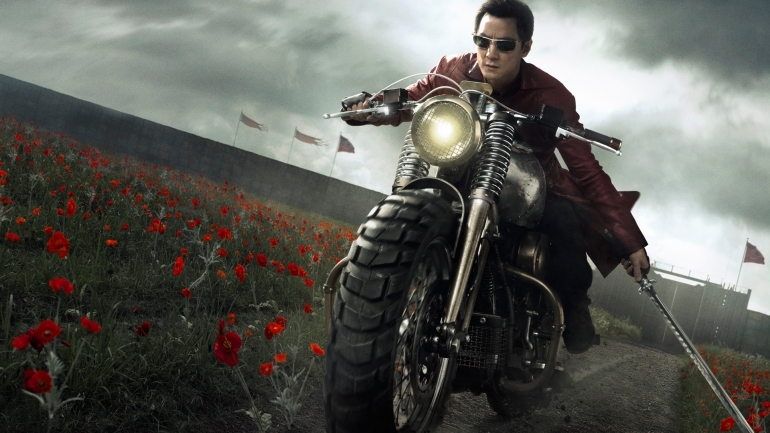 One of the early fight scenes with some close-up shots of the Sunny’s motorcycle. Warning: the scene is quite graphic.